A Silly Interview with Tina Gower, newly published debut novelist! Many thanks to Tina Gower for agreeing to do a silly interview with me! She also has a bunch of writing achievements, but this *is* a silly interview. (Though I admit it begins with me asking about her writing, and a picture of her book. Later I bug her with questions about dogs and hats, though. 1) The heroine of your book specializes in statistics as an actuary for the accidental death department. Have you worked in jobs that require that kind of statistical analysis? If not, what appealed to you about writing such a character? I’ve never worked as an actuary or any kind of risk assessment except for the anxiety of always thinking about the worst case scenario in my head. I have, however, worked with statistics as a school psychologist where I had to calculate student test or IQ scores on the bell curve or create measures. While in graduate school, we had to take a lot of psychometrics and statistics to complete the degree. Seriously, statistics is the most fun of all the math classes. I’m pretty sure 😉 I don’t know why, but a crime fighting actuary was about the funniest combo I could think of, but the more I imagined it, the more I realized how cool it could be. And Kate Hale is a great character. 2) How did you decide to blend crime fiction with urban fantasy in this way? What does fantasy allow crime fiction to do that doesn’t appear in realistic crime novels? I’m a fan of mystery crime stories AND I love the paranormal. I think it adds another layer of the types of cases that can be solved. Also, that the people involved could have an abnormal-out-of-this-world skill. Writing short fiction has always been a fun way to clear my mind after a long project. Although I don’t write short very often anymore, I still get ideas that are only going to present well in the short form. It’s a project that takes a lot less time from start to finish than a novel (in theory!) and I love reading other short fiction by friends or other writers I admire. It’s a way to sample someone’s style, too. 4) You used to raise guide dogs for the blind. Personally, I’ve raised a few litters of kittens for adoptions. It’s fun, but also stressful — in the case of the kittens, partially because finding homes for them is so difficult. I imagine it’s still rough raising animals to give away, though. What was it like for you? It’s not easy. The emotional difference between someone who has pets to keep and the person who raises services animals or shelter fosters to give away isn’t different at all. I still miss them. I think about all of them every day. I’ve put a lot of time, energy, and love in each dog. Then when they’re perfect and you can’t imagine what life was like without them, you send them off for more training. Eventually, hopefully, if all goes right with training and physicals, they’re paired with someone who really needs them. The fact I’m doing it to make someone’s life a heck of a lot easier cuts the edges of loss, but only slightly. The hardest is when someone says “Oh, I could never do that! I love my animals too much.” Because somewhere in there is the idea that we don’t love animals to be able to “give them up” when that couldn’t be further from the truth. Secondly, I think everyone has it in them to sacrifice for the better good of humanity. I really believe that. 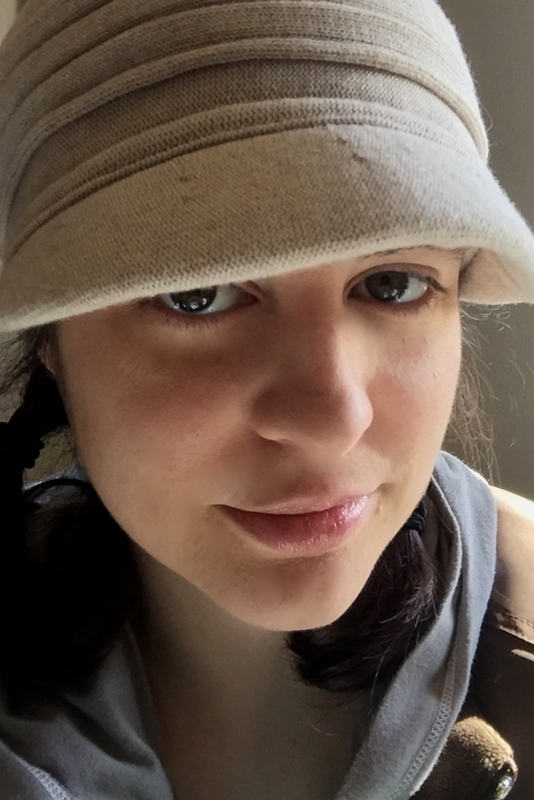 5) In your author photo, you are wearing a hat. Are hats underappreciated? Heck. Yes. Everyone should have a hat that fits their personality perfectly. If I had a talk show, pairing people with hats would be the highlight. You get a hat and you get a hat. Hats for everyone! 6) Aside from your forthcoming novel Romancing Null, do you have any other upcoming projects you’re excited about? Great news! 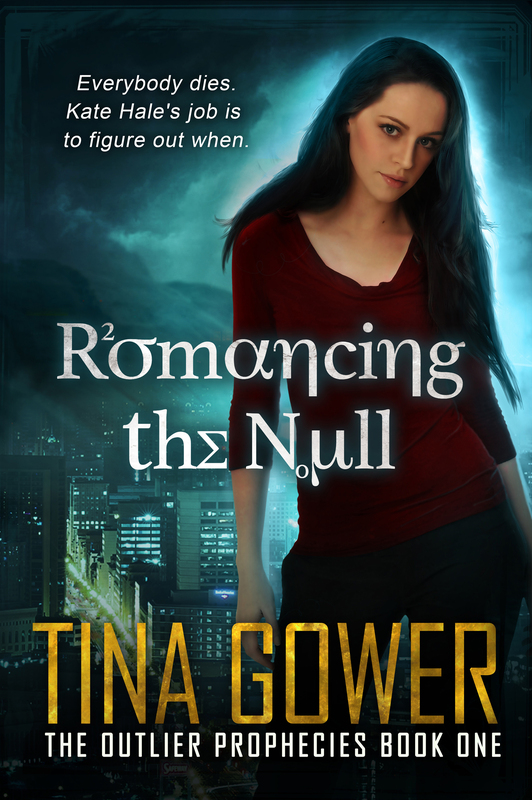 Romancing the Null isn’t forthcoming anymore! It published on Amazon just a few moments ago right before I started typing this. As far as upcoming projects, I have books two and three of the same series (The Outlier Prophecy) written and in various stages of editing. Book two should be coming out in a few weeks. Book three closer to late April or May. I plan to write more books in that series this year along with a few projects that are being shopped around to traditional houses with my agent. And I do have some short stories I want to write, too. I like having lots of projects going at once, so I can convince myself I’m a real writer.